WELS rating: 6 stars, 10.7L/wash. Energy rating: 3.5 stars, 314 kWh per year. When a little extra space makes a big difference, it’s worth considering ASKO appliances, where design and functionality are both part of the bigger picture. The ASKO DBI865IGXXLS Dishwasher, for example, is 86cm high, with enough space for 4 baskets and 16 place settings, making it a winner in busy kitchens. Most contemporary Australian homes include built-in kitchen appliances that open the room and avoid clutter. Built-in dishwashers are part of the strategy, helping to provide maximum kitchen efficiency and output without being a distraction. ASKO dishwashers showcase the Scandinavian minimalist appeal, where the smooth exterior lines only hint at the dishwashing power contained within. Built-in dishwashers improve culinary results, save time and make cleaning a breeze. The impressive performance of the ASKO DBI865IGXXLS Dishwasher is impossible to ignore, allowing users to appreciate contemporary kitchen style, where form and function are a harmonious success story. Built-in dishwashers are permanently located within existing cupboards or fitted according to your design plans. ASKO appliances provide restaurant standard usability, ideal for entertainer’s kitchens where remaining stress-free is important. The ASKO DBI865IGXXLS is sturdy, stable and built to last, making it a firm favourite with ASKO users Australia-wide. How do you choose the right dishwasher? With more than 15 different dishwasher models available, ASKO have something for everyone. Your kitchen size and cupboard dimensions will dictate some dishwasher decisions, while other considerations can be more for personal taste. ASKO DBI865IGXXLS built-in dishwasher design features allow for water and energy-savings, and when a big clean up is underway, the powerful jet spray and mist extraction systems are up to the task. It’s also worth considering combining ASKO appliances for a complete designer-kitchen experience. With appliances that include self-cleaning ovens, Volcano Wok Burners, a wide cooktop range and a whole lot more, it’s easy to see why ASKO kitchens are becoming popular all over Australia. When smart appliances are constructed using sturdy components and high-quality, fully recyclable materials, there is every chance they can last as long as your new kitchen. Built-in dishwashers are attached to cabinetry and need to function at a high standard for many years. That’s why ASKO development includes top quality appliances such as the DBI865IGXXLS Dishwasher, where maximum work is performed with a minimum of fuss. ASKO was established many decades ago to provide superior, long-lasting kitchen and laundry appliances, and the standard has never wavered. 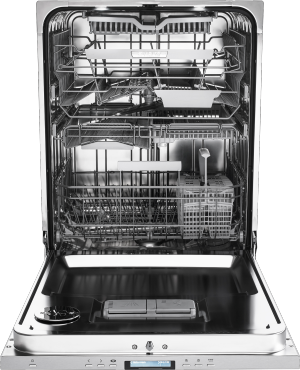 There are lots of reasons the DBI865IGXXLS Dishwasher is a favourite with ASKO fans. 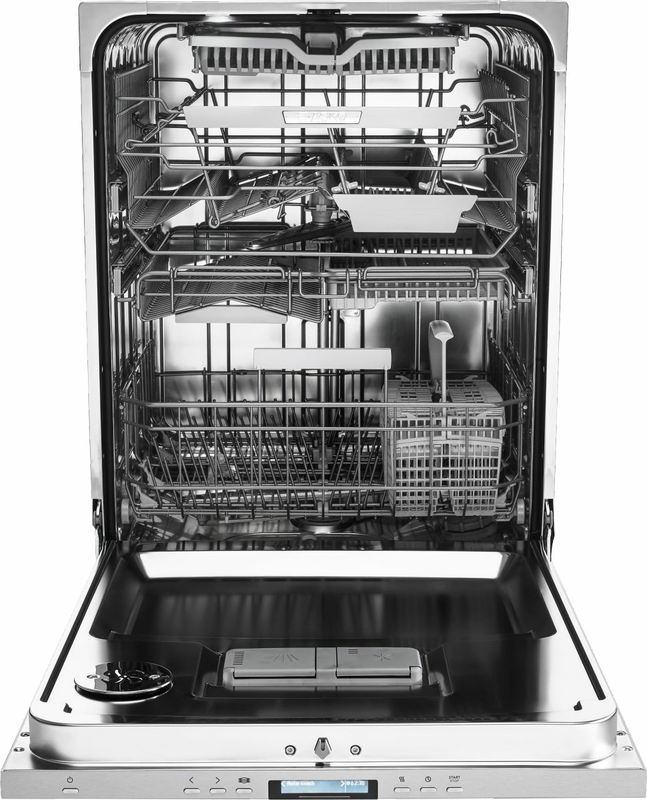 The larger dishwasher cavity space is hard-wearing, using stainless steel components wherever possible. The seamless dishwasher interior is courtesy of ASKO engineering excellence, where a perfect clean is natural even with a maximum wash load using all 4 trays. Is this dishwasher water efficient? 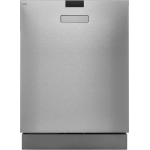 The ASKO DBI865IGXXLS Dishwasher has an impressive 6-star water rating, so you can rest assured no water is wasted. Quality dishwashers are incredibly water and energy efficient when using pressure, heat and fans together. The best ASKO technology is used for high-energy water blasts that reach every cavity and crevice of the dishwasher interior. As it is a built-in appliance, the dishwasher should be connected to plumbing and electricity by professional tradespersons. When hooked up independently, your ASKO dishwasher can continue working away without disrupting any other kitchen appliance. The days of single-dimensional dishwashers are long gone, and ASKO ideals are catching on fast. How do you clean this dishwasher? Water-wise ASKO solutions include self-cleaning systems, where the machine does the work for you. It makes sense that an appliance designed for cleaning should itself stay clean, and with ASKO, your appliance can look showroom fresh for many years. 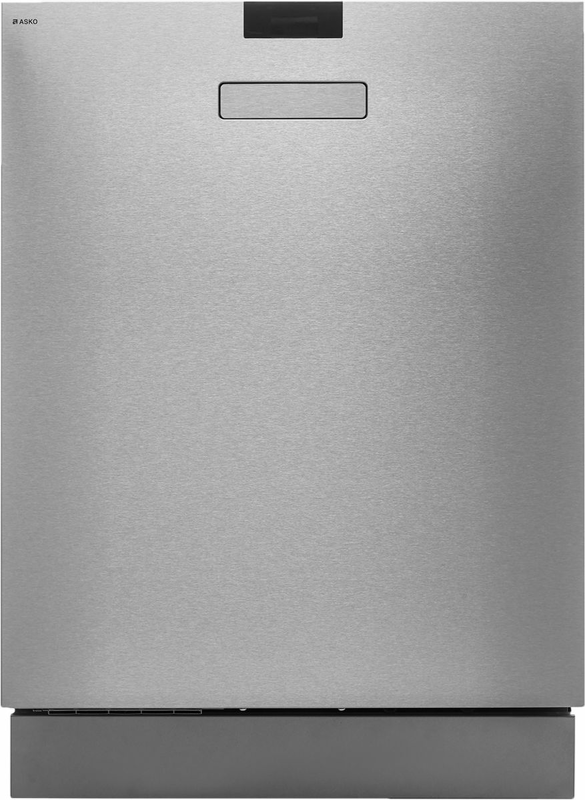 Although the stainless- steel components are seamless and stain resistant, The ASKO DBI865IGXXLS Dishwasher includes a self-cleaning feature for giving your appliance an occasional freshen-up. Cleaning is assisted by hot air circulation and steam removal, while program options also include Green wash, Eco wash, Hygiene wash, Sanitation wash and other personal choices. ASKO development is all about multi-tasking appliances for a tailored approach to contemporary living.